Rava Vada or Sooji vada is instant vade and very easy to prepare compared to traditional urad dal vade which requires soaking, and grinding. So whenever you feel like eating vada, this instant rave vade is the answer. Try this winter this Semolina vadai – a perfect evening snack with hot cup of Filter Coffee or Tea. This Rave vada is no onion no garlic dish, but if you like you can add chopped onion. 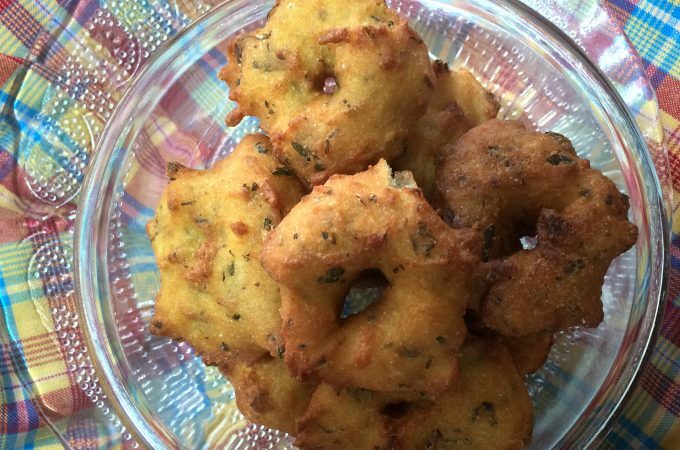 If you’re interested in urad dal vada, check out the recipe here. Bisibele bath is one of the most delicious and unique dish to Karnataka. 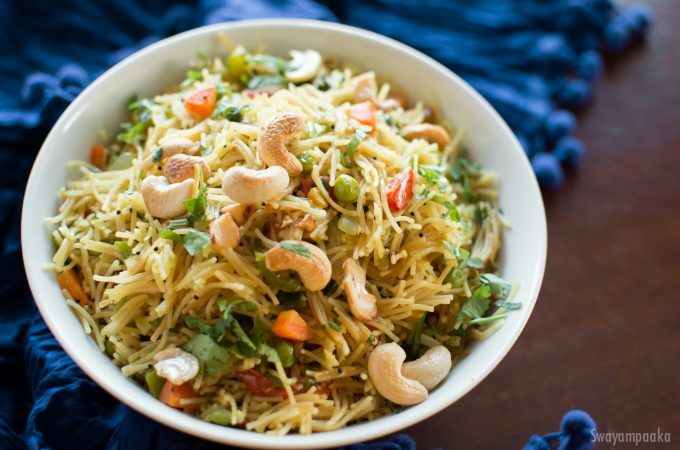 I believe there is no one in India who never heard of this popular healthy wholesome rice dish. This bisibelebath has everything , protein, fiber, carbohydrates ..We use pigeon peas /toor dal as protein source, vegetables, peas and rice as main ingredients. 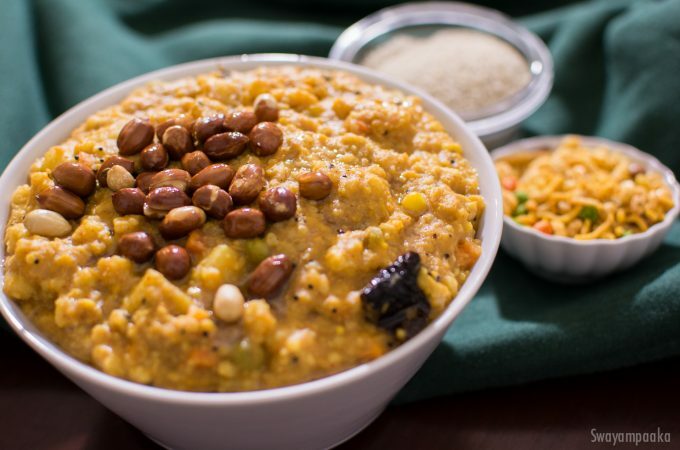 You should try this bisi bele bath to know the taste. Millets believed to be good for diabetic patients since it releases the glucose slowly. All millets are non glutinous grains. 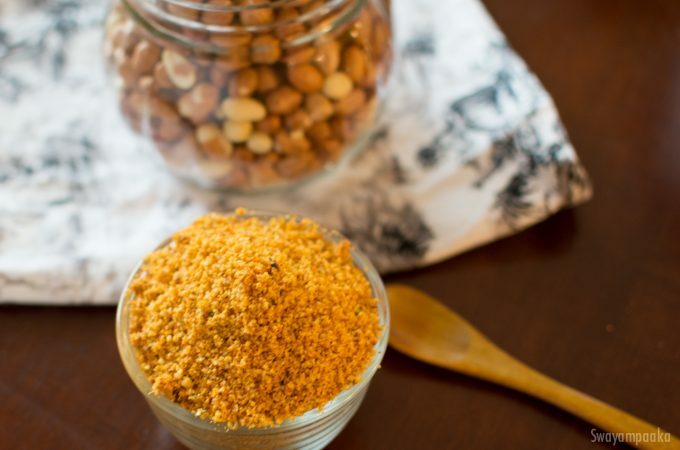 Peanut Chutney powder is very easy to make, super delicious and healthy pudi. This is popularly called Dry Shenga Chutney in north Karnataka/ uttara karnataka region. I was really amazed by the nutritional benefits we get from this peanuts. 1 cup has 38 grams of protein and it is good source of dietary fiber, potassium, magnesium and iron. Unfortunately many are developing allergy to this little nut. If you and your family members are not allergic to peanuts I highly recommend the use of this nuts. Roast it at home, eat with the skin, which helps you to digest. This chutney powder goes well with rotti , dosa, rice and add this powder to yogurt / curd and add onion seasoning to make a curd chutney or mosaru chutney.